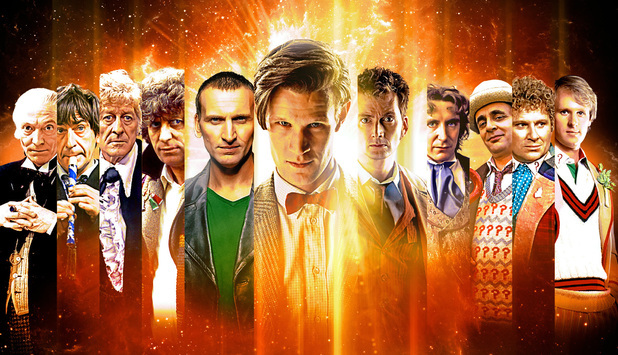 Who should the next Doctor Who be? - Adi's take on it. Tomorrow night at 7 PM we will be discovering who the next Doctor Who will be. Much like the election of a government or the hunt for a new James Bond, the change of actor for a Doctor Who marks the end of one era and the beginning of another. Therefore the choice of actor is one that is of utmost importance for the fans of the time travelling show. A good choice could take the show to unparalleled highs, but an unpopular choice could lead to lower ratings, fan complaints or even the cancellation of the show as a whole. Clearly there will be many predictions and guesswork over the next couple of days run this blog we would like to give you three contrasting views as to who should take on the iconic role. I actually have no issue with a woman taking on the role of Doctor Who. The show has been forced to reinvent itself many times over the course of its 50 year run and this would be just another in a series of reinventions. In fact, change has actually been part of the success and the longevity of the show. It would of course leads to certain complications-such as is River Song now married to a girl? As the doctors ceased to be a father and now become a mother? And if Time Lords can change genders what does that mean for things like marriage and reproduction within their society. However the seeds for gender change were planted at the last regeneration when the Matt Smith Doctor exclaimed "I'm a girl!" This would imply that the character believe that the gender switch would be possible. I might be going a little bit deep here but it might also challenge viewers to reconsider their perception of male and female roles. 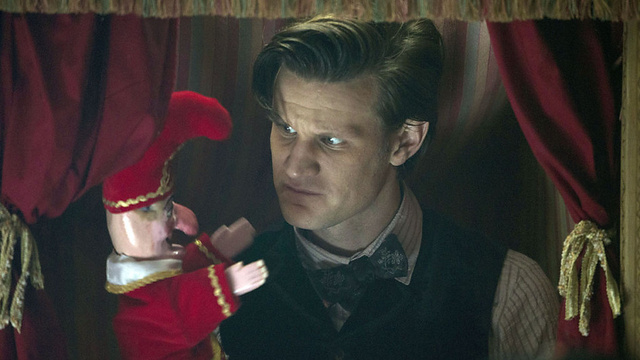 The doctor often brags about his influence, his intelligence, his experience, and his ability to control situations. I wonder how differently this would play if those words would come out of the mouth of a woman rather than a man. Society does seem to have negative connotations of bossy women in a way that they don't have with bossy men. Perhaps putting a female doctor in place would force people (albeit on small level) to re-examine their personal prejudices when it comes to attitudes towards women. There would of course be a huge amount of debate if they brought out a female actress so would need to be someone thick-skinned enough to take on the inevitable flak and also talented enough to make the role truly their own. I'm reminded little bit about when they cast Daniel Craig is the next James Bond. There was a lot of negative press regarding the fact that they had cast a blonde James Bond-but after Casino Royale he had proved himself in the role. I think it be the same for a female actress-there would be negative backlash from certain fans-and it would be up to the programme's makers, writers, and of course the actress herself to prove that this was the correct choice.It would also give an opportunity to have a proper full-time male assistant which hasn't really occurred in the modern era. Of course we've had Ricky and Rory in the Tardis from time to time but both of them have really only been attached to their female counterparts. I think a change in race for Doctor Who would be very cool as well-but I do have a few reservations. I play a lot of computer games as many of you will know and often when you get a character of a certain race or skin colour they tend to play up to ethnic stereotypes rather than just being a "normal character". For example I'm playing hotshots golf at the moment and every character in that exaggerates the stereotypical aspects of the race from which they are from. For example the Russian character speaks with a very thick accent and looks very conspiratorial, the British character is very upper-class with a moustache, and the black character has a baseball cap on sideways and seems to be mimicking something out of the fresh Prince of Bel air. I think for this to work in needs to be a Doctor Who happens to be black-rather than a Black Doctor if you see the difference. The personality should be dictated by the character and the show rather than the skin colour of the actor. This brings me to I think is the most important part of casting a new doctor. The writers need to think about what personality they want the doctor to have. The Christopher Ecclestone Doctor was the one which was damaged and torn apart by his experiences in the Time War. The Tennant doctor was the arrogant fun loving Doctor Who eventually became too powerful for his own good. The Smith Dr is the grumpy old man in the young man's body with minimal social skills but a weakness for young pretty girls. I think the writers really need to think about what would make a good doctor for this new era in terms of character. The Tennant Doctor had a beautiful story arc in my opinion that took him all the way from arrogance and anger towards love and companionship and then back towards loneliness and a touch of bitterness. This was a character where we understood his motivations and we simultaneously admired and pitied him. In my view this was a character with depth that captured the complexity of what being a 900-year-old timelord would be like. Rather than thinking about who would make a good doctor and whether the doctor should be white, black, male, female, tall, short, disabled, straight, gay, humanoid or whatever-let's think about what the personality of the doctor should be this time around and then find an actor to fit that mould. Continuing with the plotlines of the last couple of years-this is a doctor who has more or less been raised from history and now has a human being flying around the inside of his time stream protecting him from harm and danger. I think this gives the possibility for a doctor that is far more humble and cautious than the previous incarnations. He can no longer use his name as a way of putting fear into his enemies and his great works are no longer attributed to him. In addition to that he now knows that his very survival is only thanks to the actions of a human who will shop in his times of need. I think it would be interesting to examine what that does psychologically to a character who is used to being a very powerful and self-reliant figure. You could even take this further and have a doctor who questions their own purpose but then slowly regains it to taking on new enemies over the course of the next series. I blogged as a Club Penguin Blogger for a few years. Unfortunately I outgrew the game, and have began to meet new things in life. Blogging itself though: one of the best experiences of my life. I wish you luck Adi, and if you ever need any help with Blogger (that's what I used), I'd be more than happy to help.